Could new petrol cars be banned from EU's roads by 2030? Banning new petrol and diesel cars from EU roads by 2030 is unrealistic without more incentives to develop electric-powered alternatives, campaigners say. Germany’s upper house passed a proposal early this month to stop sales of new combustion-engine cars by the end of the next decade. The vote was non-binding but it has alerted Brussels and given fresh impetus to a growing trend in Europe. With the pledges of the Paris climate deal still ringing in their ears, countries such as Norway and The Netherlands have been targeting their transport sectors in a bid to slash CO2 emissions. Transport currently accounts for 34 percent of the EU’s total greenhouse gas output, two-thirds of which comes from road vehicles. But the EU’s electric car market is still tiny, making up around one percent of overall car sales. There were around 144,000 electric cars sold last year and sales data suggests that might rise to 200,000 in 2016, meaning more than half a million such vehicles on Europe’s roads . The Netherlands is the EU’s leader when it comes to pushing electric cars, according to NGO Transport and Environment. The Dutch, like Norway, have plans to ban new petrol-powered cars by 2025 and use subsidies and tax breaks to encourage the industry. 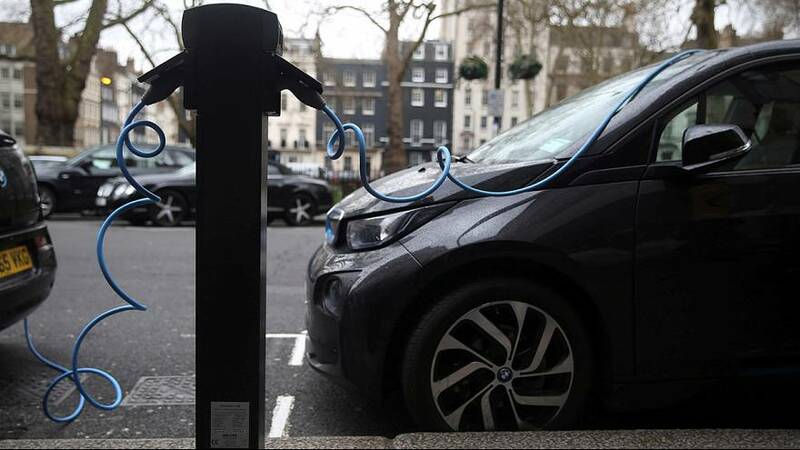 The UK offers a grant of up to 5,000 euros to encourage new sales of plug-in electric cars, while France hands out a 10,000-euro bonus for exchanging diesel for electric. How should the EU foster growth of the electric car market? Julia Hildermeier, clean vehicles officer at Transport and Environment, says it is unrealistic to ban new petrol and diesel cars from EU roads by 2030 without first growing the market for electric-powered alternatives. - Set limits on carbon emissions from road transport, not only on paper but on the road too, a nod to the Volkswagen scandal, which saw the carmaker admit fitting software to diesel vehicles that could detect when they were being tested, so enabling them to adjust output accordingly. - Improve infrastructure so electric vehicle drivers can travel across national borders in the EU and be sure of finding a charging point. - Ensure there are national-level incentives and tax breaks for electric car manufacturers, such as in The Netherlands, which sold the most zero-emission vehicles in 2015 in the EU. - Ban diesel cars from city centres. Hildermeier said EU was a global exception because diesel vehicle sales were increasing. Figures from the European Automobile Manufacturers’ Association show 6,248,240 diesel vehicles were sold in 2014, up from 5,969,136 the previous year. - Introduce sales targets for electric vehicles. A Transport and Environment report said California’s target of having 1.5 million electric vehicles on its roads by 2025 was ‘the most reliable solution to ensure uptake’. Hildermeier said good work was being done in The Netherlands, Norway, UK, France, Germany, Denmark and Sweden. The European Commission told Euronews it is looking into the resolution by Germany’s upper house, as part of moves to support ‘low-emission mobility’. It presented plans in July which include monitoring and cutting CO2 emissions from lorries, buses and coaches. Electric cars dominated the Paris Motor Show in September, as manufacturers, facing tougher emissions tests in the light of the Volkswagen scandal, fix their sights on more environmentally-friendly models. Lower battery prices are also helping push this trend. Experts say electric cars, introduced in the 1990s, are now in their adolescence and about to ‘become highly disruptive’. “It’s now clear that the demise of the ‘dirty diesel’ and its replacement by clean, ultimately renewable electricity will be one of the revolutions in driving over the next 15 years, along with the establishment of connected and progressively autonomous cars and growth of shared mobility services replacing traditional ownership models,” a Transport and Environment report on electric vehicles concluded. However, the environmental benefit of having more electric vehicles on the road will be linked to Europe’s progress in decarbonising its energy supply. Critics say low-emission vehicles are still partly responsible for greenhouse gases produced by power stations. But Transport and Environment argues electric cars are more energy efficient than their petrol or diesel cousins and the average European energy mix has significantly decarbonised, first via the switch from coal to gas, and secondly by an increase in renewable sources.